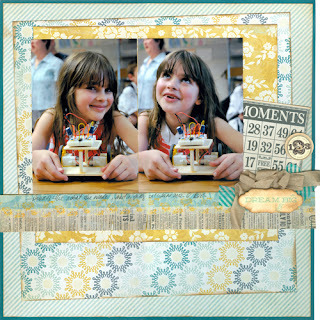 Here's a simple way to add a little something extra to your layouts - fringe! I took a strip of this month's paper and used scissors to cut a fringe all across the strip. Then I added two strips of washi tape over the top.